All members must affirm the ESS Doctrinal Statement annually upon registration and subsequent renewals. All members of the ESS must be active members of a local church. Academic membership is for those who have earned a doctorate degree in Biblical, Theological, Apologetic, or Ministry related fields, or currently candidates for such degrees. Student membership is for those who are currently pursuing undergraduate or graduate degrees from Bible Colleges, Seminaries, or other Divinity schools. Minister membership is for pastors, evangelists, or other ministry leaders who are active or retired from the work of the Gospel. Layperson membership is for interested laypersons dedicated to active participation in the body of Christ who seek to learn, inform, and dialog alongside scholars, seminarians, and ministry leaders. 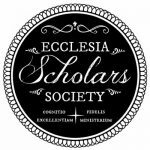 All members of the Ecclesia Scholars Society have full participation rights and privileges. These include submission of papers for publication and presentation at national and regional meetings. It also includes full voting participation for ESS government and issues brought before the body. Full registration at annual meetings, whether attending in person or viewing the live stream online. Paper submission privileges for publication and selection for presentation at meetings. Members must fill out the online application form and follow the instructions pertaining to the type of membership sought. In the application form, applicants must affirm the ESS Doctrinal Statement, name the church where current membership is held, acknowledge reading of the Constitution and Bylaws, and pay the application fee of $25.00. Academic Members must also specify the degree and institution that issued it. Doctoral candidates need to list the degree pursued and the institution where they attend. Student Members must also specify the degree pursued and the institution where they attend. Minister Members must also specify their position and name of the church, para church organization, ministry entity, or other institution they are currently active in serving. NOTE: These distinctions in membership are not specified to indicate any level of importance or primacy among the membership of the Ecclesia Scholars Society. They simply exist so that participation and involvement in each category can be accounted for and represented for publication, presentation, and activity within the ESS by the Governing Body and Board of Trustees.